Major guidebooks hardly close up this town but I would like to highly recommend. 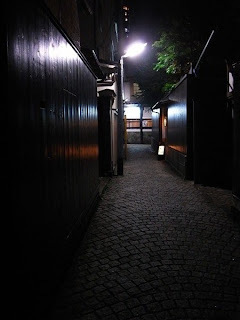 Nakameguro, embracing the Meguro river with cherry-blossom alley stretching over 2km, is a a haven of rest for local residents.You can find select-hideaways along the river-cafes,special shops, boutiques.A walk with no destination sounds the best way of enjoying Nakameguro. Your plan in the beginning of April sounds perfect for a visit. Have a break at a reserved spot. 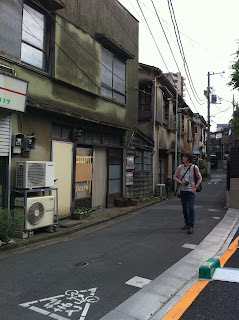 Every visit has a bunch of findings on new comers carrying crafts, serving special coffee, and cutting-edge perple. Kamakura is the old capital with thousands of temples and historic spots.But its most attract lies in great location. If you take a local train for 10 minuts, a breathtaking view appears in your window, giving you a good repose in the hiatus of busy itinerary. Sitting on a bench at the station, the sound of oscillating waves heals your mind and body. It's fun to browse farm-fresh produces in season. Tranquility prevails the bamboo forest.Sitting with a sip of tea in an arbor or meditation? -Cozy small gardens also wait for your visit. You man need take time to choose your destination for a break. All of gardens in Kamakura is sure-fire. Dishes on the table are waiting for your first bite here and everywhere.In prestigious restaurants, no name eating places and cafes. You may be attracted major Japanese cuisine such like Shabu-shabu, Tempura but our daily favourite always come in a unpretentious eatery. Regular and green tea soba(buckweat noodle)-Don't be scared of slurping sound!When you put a one pick of soba into your mouth, a wonderful aroma of green tea spread around. Assorted plate of Sashimi may belong to a must when you sit in a local pub.You can enjoy the most tasty one in season. If you don't have good enough time to savour Japanese dishes in a restaurant, don't worry!A wide variety of boxed lunch(Bento box) can please both your eyes and mouth. Can you find what it is? It's vegetable pancake, enjoying a self-making process in a restaurant.Someone may struggle with a tecｈnique of turning a pancake on a hot iron plate, but it must enhance your appetite. Chinese-oriented noodle but became a national "staple" later. Its taste varies from simple salted, soy sauce to miso(fermented soybean paste) and the like. Every part of Japan has its own local Ramen, therefore you'll never be tired of doing Ramen pilgrimage. Even worldly-famous Kitty the cat can come on the table. This Kitty lunch box contains assortment of stewed vegetables and special Sushi. 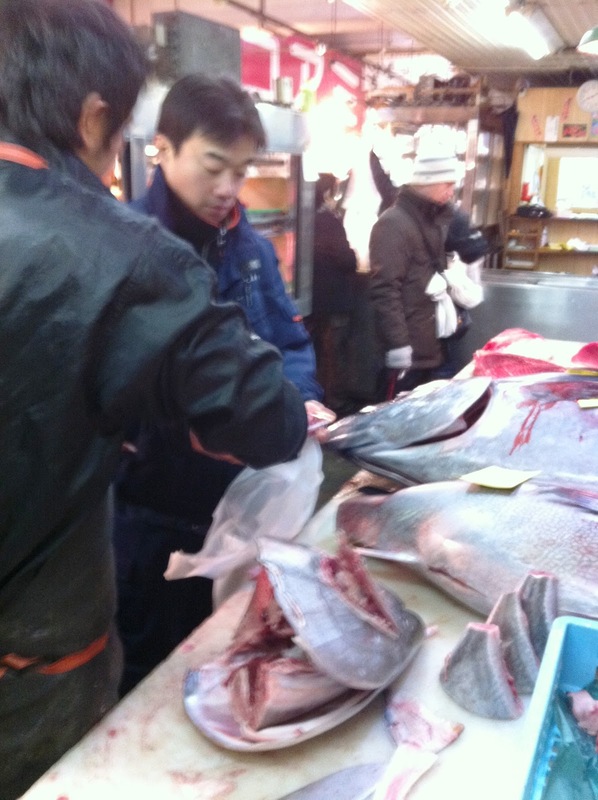 Visit the Tsukiji fish market. If you are a early-bird, you can check a tuna auction room always filled with cheerful negotiation. And its outer market must fascinate not only Sushi lovers but gourmets. visit a vast food kingdom in a department store. A basement of department stores looks a kind of wonderland for foodies.Seasonal delicacies, super-fresh fish,sweets...take your pick! If you can't sooth your hunger, this item must be a help? The kitchen utensils town of Kappabashi provides EVRYTHING around kitchen, knives, ceramics,items,pans and of course including food samples. Anyway, please don't make a mistake in distinguishing. from real one. Enjoy a stroll and dinner in the town of gourmet and Gaisha hideaway(Kagurzaka). One of the best place for checking real Tokyo life is the town of Yanaka with its long-standing history, people living there have still enjoyed their lifestyle handed down from their ascendants in a quiet atmosphere.An old shopping street,temples,and smell of local foods may take us several decades back and tell us why this place has attracted not only ordinary people but artistic circles. Get a ride on an unique tram in Tokyo(Arakawa-line) dropping in small towns. you'll meet a bit shy but friendly smiles. If you would like to, you can refresh yourself by a visit of Japanese public bath. 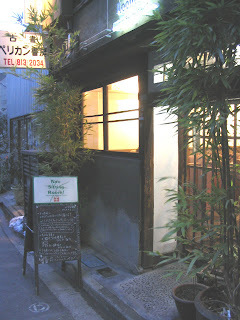 Let's top off with a sake(rice wine) and local delicacies at a Japanese pub! If it would be your first time to visit us and would like to know the quintessence of Japanese culture, this route would make the point. A visit of morning sumo training and Japanese gardens may hint you Japanese’s sense of value. Visit sumo stable for watching morning training. Sumo wrestler's fighting spirit makes your eyes open. Visit Japanese garden..and feel easy in an arbor. One sip,two sip ..and drink up green tea from your bowl. Enjoy relaxed air surrounding an old downtown. It's only simple steps to make your inspired visit of the trip a reality. 1. Inform me your travel schedule,interests and other requests by e-mail. 4. Wind-up discussion including food preference,etc. *Item included- planning,reservation,and trip advising. *Item NOT included- meals and beverages,transportation fee and admission. *The client are kindly requested to bear tour guide's transportation fee. *Payment method- Cash at the end of your tour.